Since our November 9th flyover of the Deepwater Horizon wellhead and our publishing of the large surface oil slick there, BP has announced plans to begin further investigation of the wreckage and seafloor in that area, beginning tomorrow, December 3. Since the weather was perfect today and seas calm, we made a quick flight to see how things look out there, now three weeks since our Nov 9th flyover. We were surprised to find a new drilling platform sitting almost right over the wellhead, and a large drillship also in the vicinity. 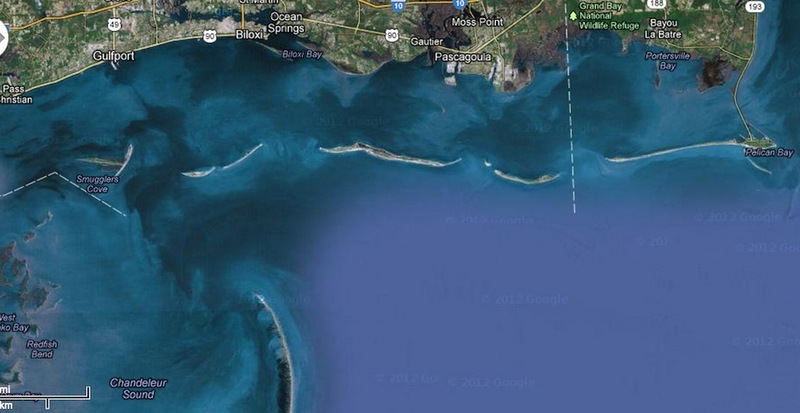 We were dismayed to find many large surface slicks in the area, as well as some new ones along the eastern coast of Louisiana south of Black Bay. 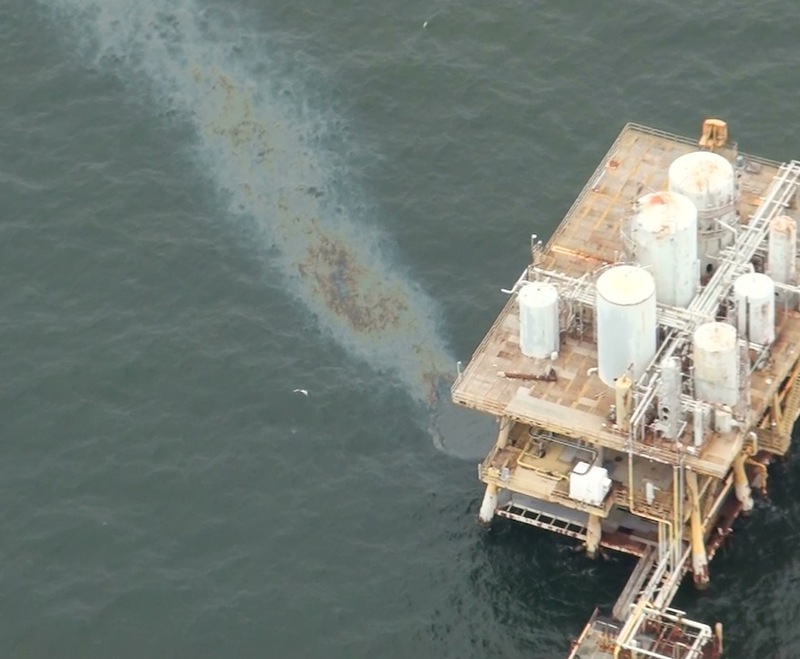 And of course it's unfortunately no surprise anymore to see the large, chronic Taylor Energy oil slick that has plagued the southern tip of Louisiana since 2004. 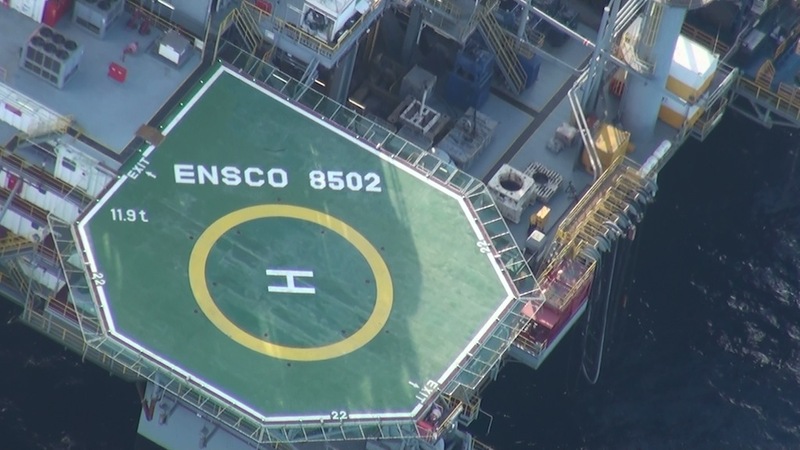 In the first video below, you'll see the smaller of the above two slicks for the first 45 seconds, after which we pan to the ENSCO 8502 platform and the larger slick adjacent to it. There is another slick about 1 nm to the east, which is about the same size as the smaller one to the north (see photo on right below). Finally, there was yet another slick south of here, which was about 1 nm long (north-south) and about 50 m wide (no photo of that one is shown here). 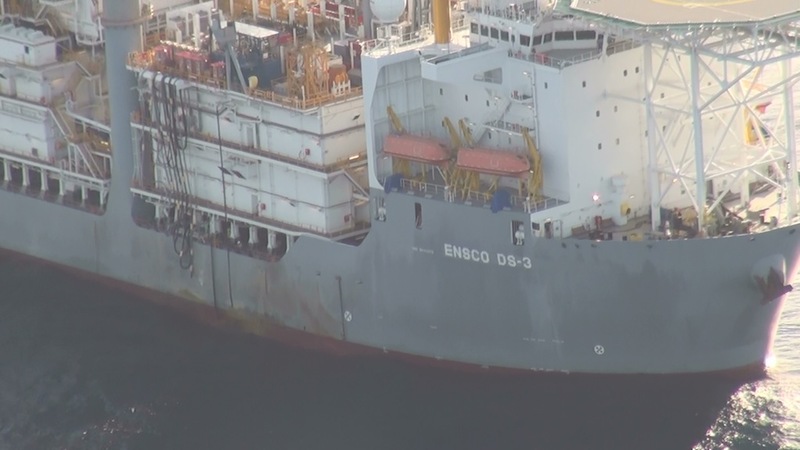 About 10 nm south of the ENSCO 8502 platform and the wellhead, we found a large mobile drillship named "ENSCO DS-3" with two supply boats -- the C Legacy and the Jack Edwards. 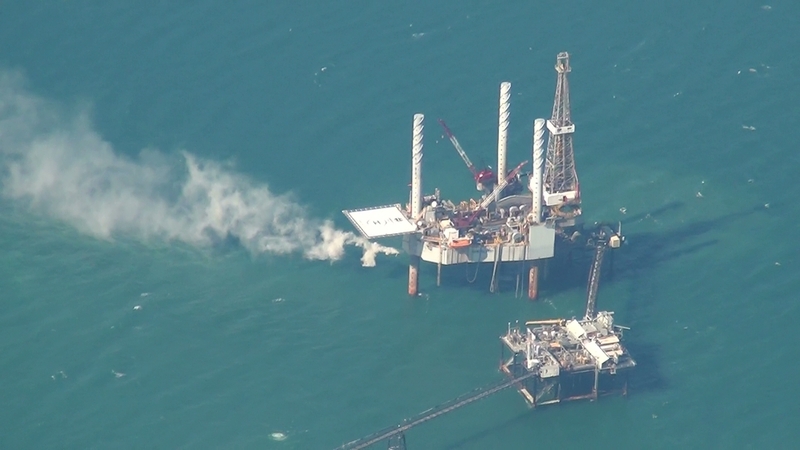 A small oil slick was adjacent to this drillship running westward about 500 m, about 10 m in width. 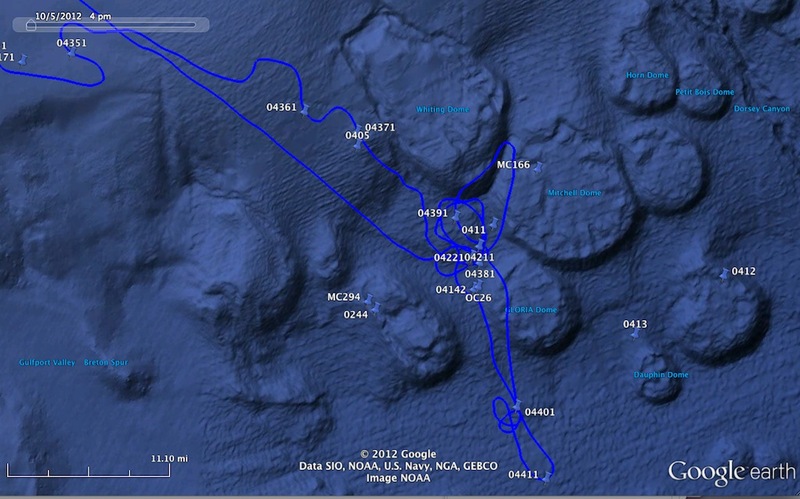 Another 2 nm farther south was a working BP platform "MC474A", which was flaring and which also had a small slick extending westward from it, about the same size, roughly 500 m in length and about 10 m wide. A video showing this platform is included below. Here is a map of our flight, and a few photos (courtesy of Don) of John and Bonny in the front seat and of Terese working through one of the back photo-windows. These are followed by some of our favorite photos, separated into the following areas: Horn Island, Ship Island (east and west), Cat Island, the Chandleurs, Petit Bois and Dauphin Island, and the Gulf Coast (including Deer Island and the coastline east of Gulfport). Following these favorites are galleries of more photos for each of these areas. Finally, we have some videos shot through our "belly viewer" -- a true bird's eye view looking nearly straight down, of the Chandeleurs and Ship Island. 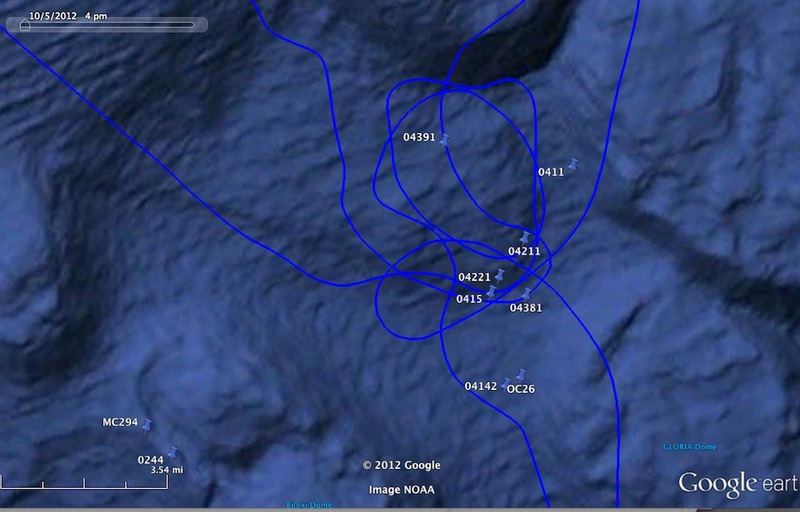 As always, our GPS flight tracks can be downloaded here. ENJOY! 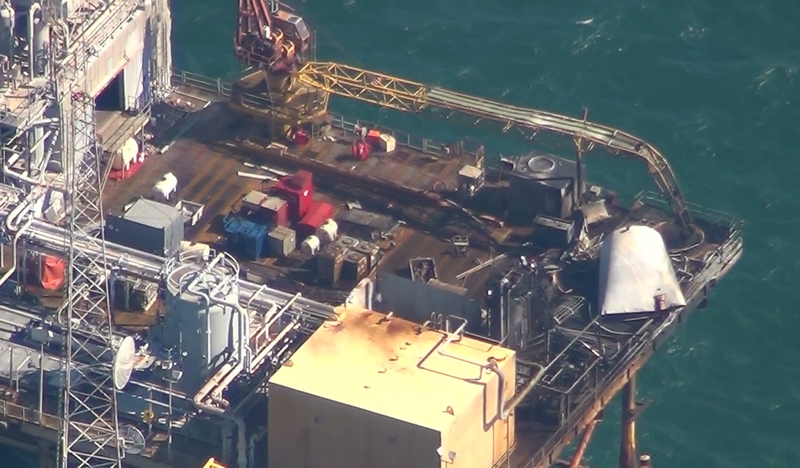 The report came in before 10 am CST Friday Nov 16 -- another explosion at an oil platform in the Gulf, only about 20 nm offshore from Grand Isle, Louisiana. A total of 11 people were flown by helicopter to area hospitals, several of whom were in critical condition. 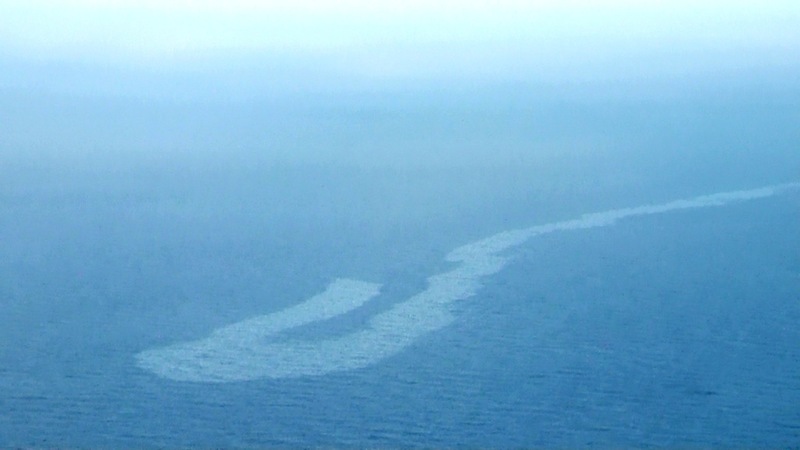 An oil sheen about 200 m by 0.5 nm in size was said to be present on Friday, but on today’s flight we did not see significant surface oil in the vicinity. On Wings Of Care was contacted immediately on Friday and asked to do a flyover. 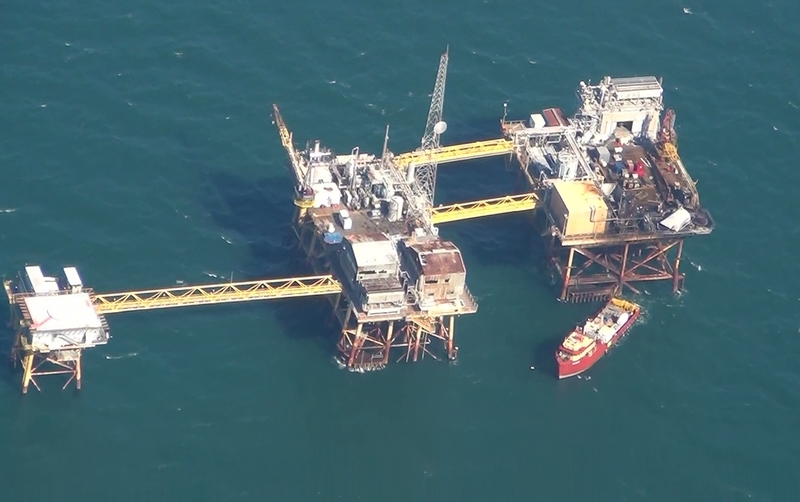 Here are photos and videos taken this morning of the area and the platform on which the explosion occurred, including an unidentified platform discharging smoke a few miles east of the Black Elk platform. 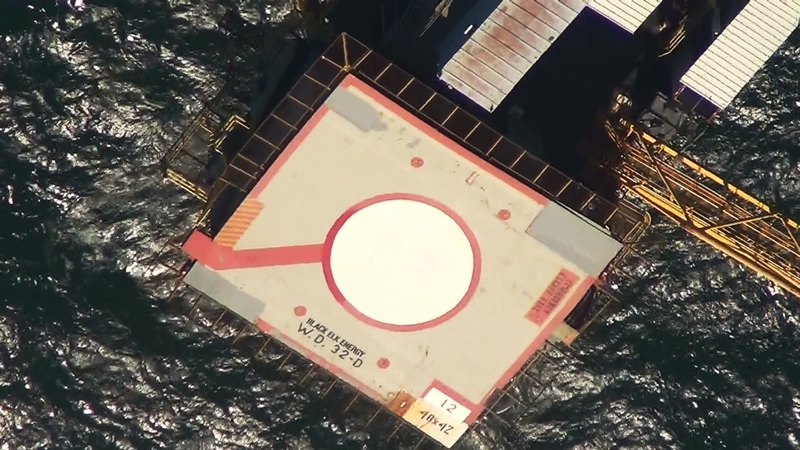 The GPS coordinates of the Black Elk platform and a nearby unidentified platform are given at the bottom of this article, and our detailed GPS flight tracks can be downloaded here. According to the NRC report, the fire and resulting explosion resulted from contractors performing maintenance. In the course of replacing a skimmer, they used a torch to cut into a 3-inch diameter, 75-foot line coming from a wet oil tank, a line designed to hold about 28 gallons of oil. Apparently the line had not been purged completely before they cut it. 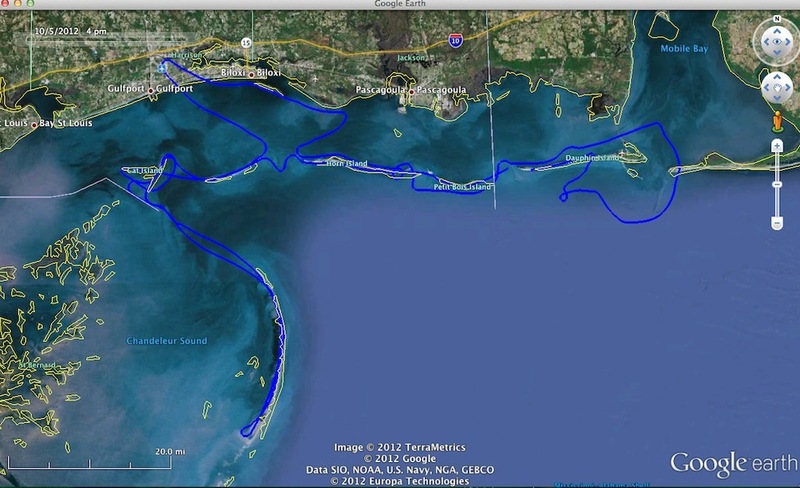 No two days of flying in the Gulf of Mexico are the same. Yesterday we reveled in smooth seas and mostly clear skies, with excellent lighting and visibility for seeing surface oil slicks. Today, winds were picking up, seas were growing choppy, and the sky was mostly overcast, making for very poor lighting and visibility for surface oil slicks. 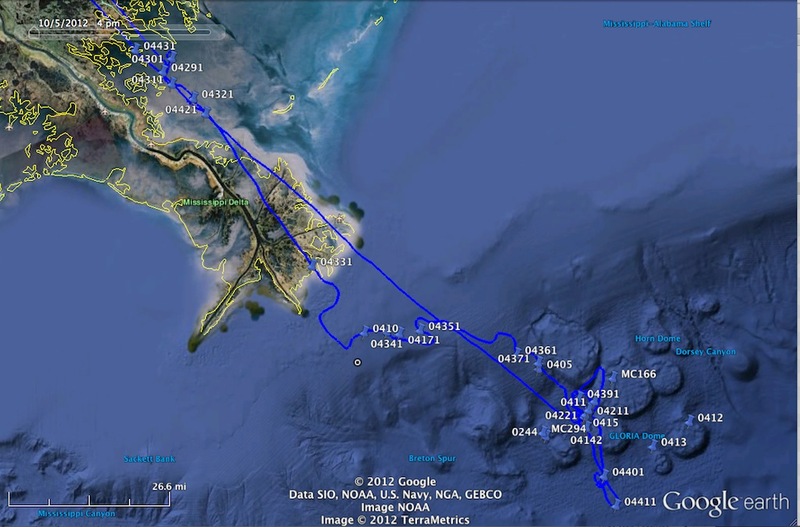 But today was the day that our scientific colleagues were able to make it from Florida State University for a flight, with all of their sophisticated observing instruments. And even though we didn’t get photographic footage that would impress the untrained eye, we obtained some valuable scientific information. 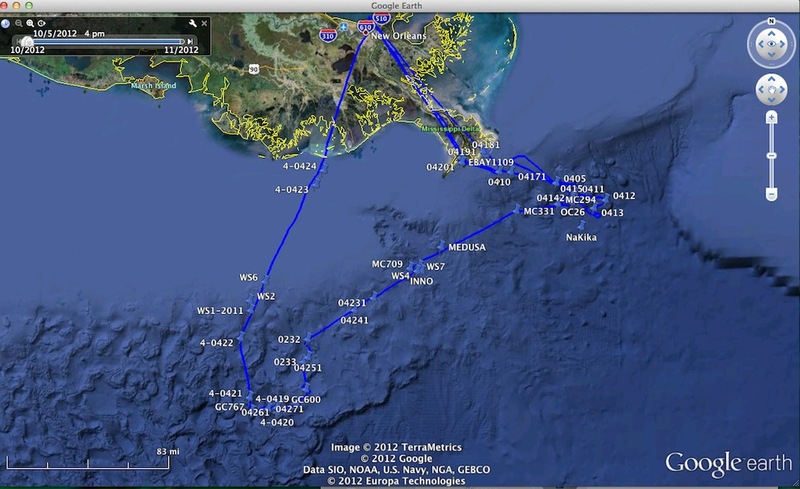 For starters, we located the source of a substantial oil leak in East Bay, just off the coast of Louisiana. 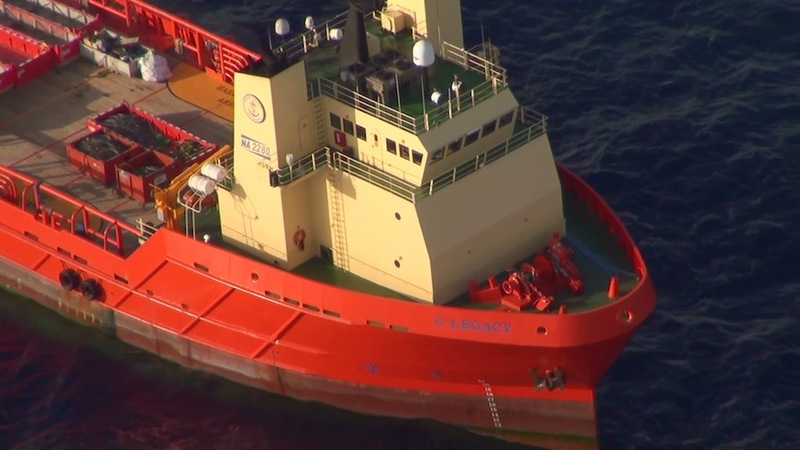 Our report to the US Coast Guard resulted in the responsible company promising to repair it immediately. Next, we showed our colleagues the infamous chronic Taylor Energy slick. Despite the very poor lighting, the enormous expanse of this oil slick was still obvious, and our belly cameras saw plenty of the telltale rainbow lines and patches of oil. We have a youtube video below to show you an example of what our belly cameras saw while flying over the Taylor Energy slick. 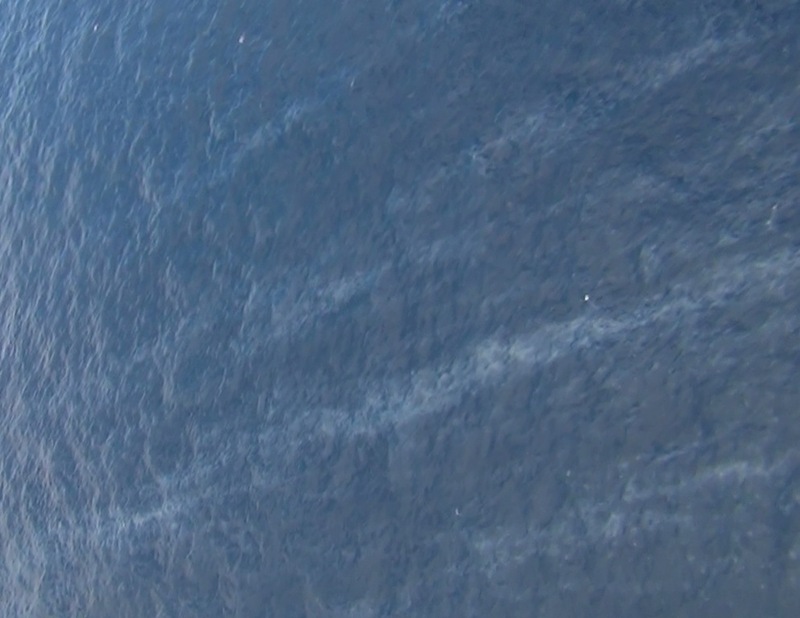 We joined our colleagues aboard the R/V Falkor again out at the infamous Deepwater Horizon wellhead in that section of the Gulf known as MC252 (Mississippi Canyon block number). Dr. Ian MacDonald and his colleagues had been working nonstop since yesterday when we had used our aerial vantage point to lead their small sampling boat around the slick yesterday, and they had learned much. Today we left them a small care package with some equipment they needed, and they told us that they had succeeded in tracking the sub-surface plumes to a source that appeared to be in some salt domes a mile or two east-northeast of the wellhead. They had also explored the wellhead carefully and found it to be free of active leaks. Quotes from Dr. MacDonald can be found in our update to yesterday’s article, here. 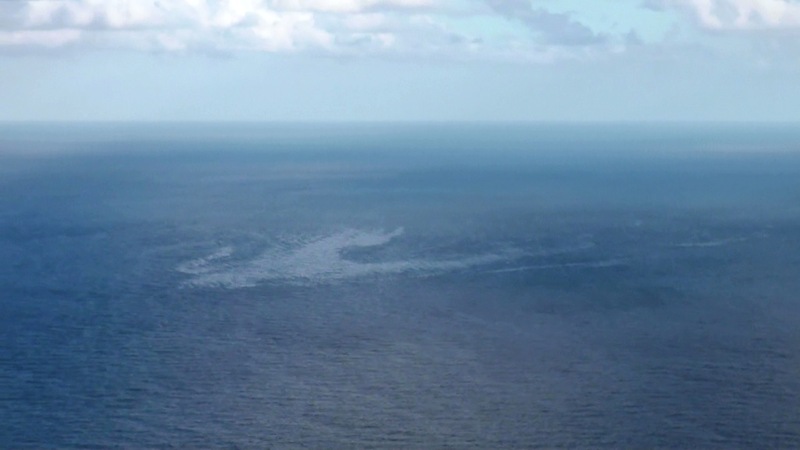 Our reports of this new and significant slick in MC252 have resulted in the US Coast Guard requesting that BP carry out another more careful investigation to determine the source of this surface oil, which investigation will include a careful survey of the wreckage of the Deepwater Horizon. 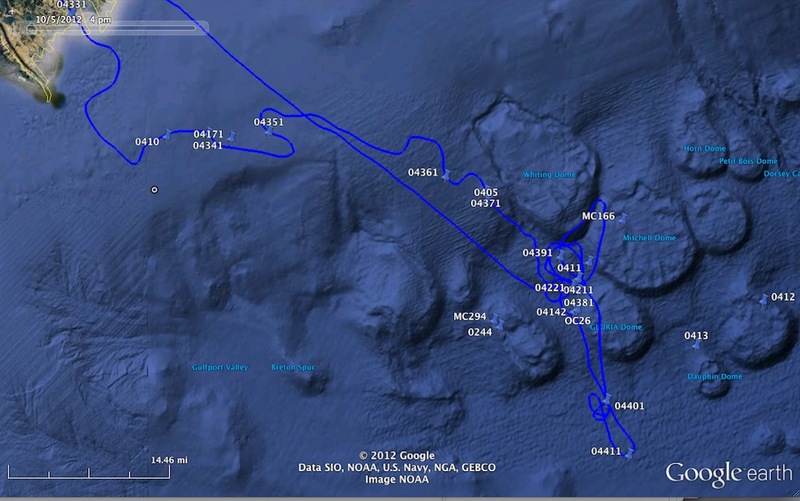 We look forward to learning more from these future careful surveys, and hope that scientists do not find evidence for widespread damage to the seafloor. 20121006 - Whale Sharks Found in the Gulf!